We’re honored to highlight Michelle Biros, MD MS as our member spotlight this month! Dr. Biros is the Ernest and Bernice Ruiz Professor and Interim Department Chair of Emergency Medicine at the University of Minnesota School of Medicine, and faculty of the Department of Emergency Medicine at Hennepin County Medical Center. While serving as the Chair of the Research Committee for the Society for Academic Emergency Medicine (SAEM) in 1994, she organized the Coalition for Acute Resuscitation and Critical Care Researchers to assist in the development of the Final Rule for Exception from Informed Consent (EFIC) Research (21 CFR 50.24). Because of her national work on EFIC, she was elected to the Institute of Medicine (now known as the National Academy of Medicine) in 2009. Dr. Biros has been internationally recognized as a leading academic emergency physician. She has won many leadership awards, served as the editor-in-chief of Academic Emergency Medicine (1997-2008), and was a section editor for three editions of the premier textbook for emergency medicine (2006, 2009, 2014). What drew you to TeamWomen? A few years ago, some of my friends were talking about this successful group of women they were involved with. They told me that TeamWomen members exude great energy, strong integrity, and lots of creativity. It sounded like the perfect place for me at the time, knowing that these women were at every stage in their career. I joined TeamWomen and have maintained my membership ever since. I come from very humble beginnings, and I’m the only girl in my family to finish high school. I had older parents who had focused for years on my older siblings, so when I was growing up I had to reach inside for the drive to succeed. I always had the influence of my successful older brothers who taught me to be fearless. Remember where you came from. In the medical field, we see people at their most vulnerable stage who may be sick due to poor lifestyle choices. I’ve seen people be judged for making poor choices, but how can we judge if we don’t know their circumstances? We will never know what led them to those choices. We don’t know their personal situation, how they were raised, or what type of family support system they have. We can only support them and encourage them as they move forward. Do you have any advice for young professionals just starting out in their career? Say yes, before you say no. You will have many options and choices. You may think you know exactly where you want to be, or what you want to do, but I suggest saying yes to opportunities that present themselves to you even if you think you should say no. By saying yes, you allow yourself to be subjected to many different things, ideas, or opportunities, and you never really know what will resonate with you until you are exposed to it. 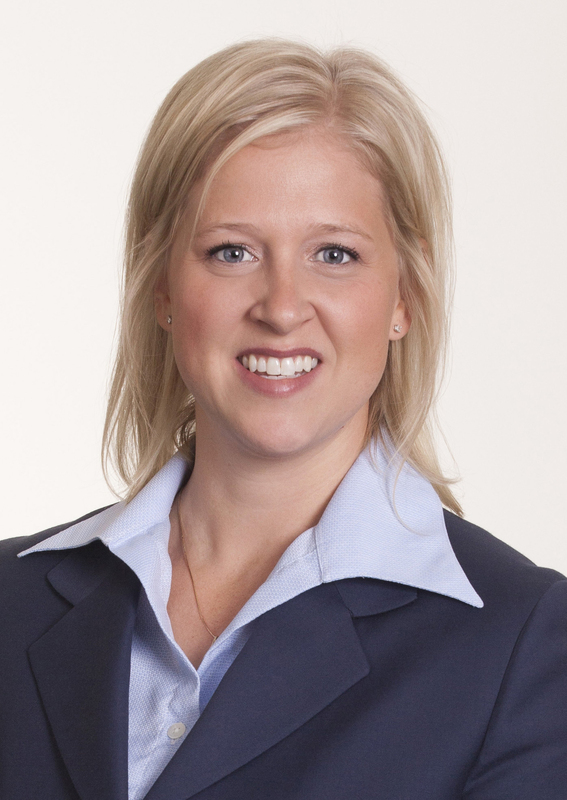 Meet Erin Procko, Bell Bank’s Minneapolis President and Twin Cities Banking Director! We’re excited to highlight Erin Procko as our member spotlight this month! She is currently the Twin Cities Banking Director and Minneapolis President of Bell Bank. With over $5 billion in assets, it is one of the largest independently owned banks in the nation. Ms. Procko was the first woman named as a market president in the company’s history, which spans over 50 years. She has an extensive background in commercial lending, having worked with privately held companies since 2002. 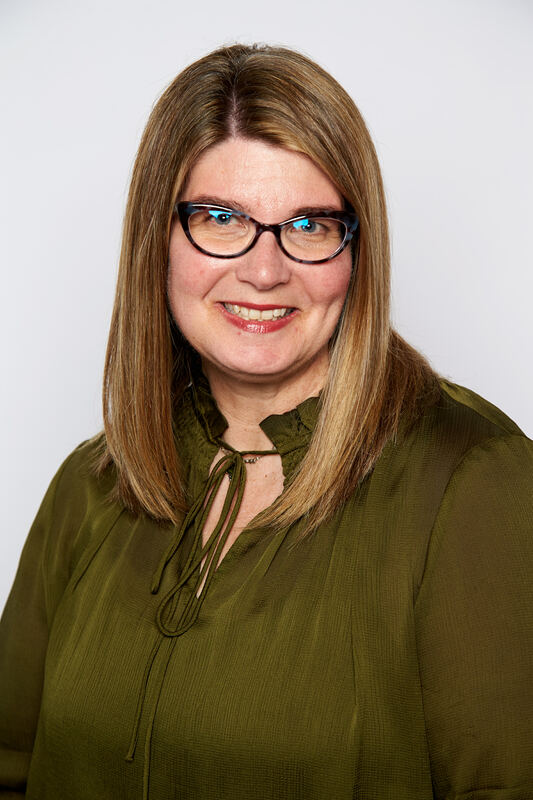 Ms. Procko was named one of the Top Women in Finance by Finance & Commerce, a Mover and Shaker by the Star Tribune, and a Real Power 50 honoree by Minnesota Business Magazine. She also received the Women in Business award from the Minneapolis/St. Paul Business Journal. I like the mission of TeamWomen. It is an organization that provides a forum for high-quality women in business to build their networks, grow personally and professionally, seek out mentorships, and support each other. I love that some events are focused on leadership development and learning, while others may be focused on health and wellness. There are a wide variety of events offered in many different venues to keep it fun and fresh! Success means setting goals, taking steps to reach those goals, and not giving up. Success can be defined differently in many parts of your life and it changes over time. For example, success at work right now means helping lead Bell Bank to be one of the largest and highest-performing independently owned banks in the country, and be the best at what we do in the eyes of our customers. Success at home is my husband and I providing for our children and guiding them to work hard, be independent, and live happy lives filled with meaning. Success for me personally is eating right, exercising, getting enough sleep, and making sure I am mentally and physically prepared for each new day. Some days, success can be as simple as making someone’s day, giving back, or catching up with a friend. We get to define our own goals and work towards achieving them. Success comes with failure and frustration though too. It is about staying focused and learning from our mistakes over time. I try to take a balanced approach as all parts of our lives are interconnected. Now that you can look back, what is one thing you would do differently (professionally and personally)? There have been a few occasions where I could have responded differently when people have said or done disrespectful things to me. I would have been better off responding without emotion, but rather with a logical and intelligent point of view. Our Bell leadership trainer always says, “We hold ourselves accountable for our intentions, but we hold others accountable for their actions.” I try to remember this, be patient with others, and offer grace. Do you have any advice for our Young Professionals who are just starting out in their careers? Don’t be afraid of new opportunities. Every time I have taken a risk is when I have grown the most. Know your strengths and use them to your advantage in an authentic way. Don’t try to be something you are not as people can see through that. Take advantage of any networking and educational opportunities – they stay with you no matter where you go. Set big goals, but break them down into smaller goals that are obtainable and add up over time. Display professionalism, but don’t take yourself too seriously. Negotiate your salary. Be kind and humble. Lastly, and most importantly, choose to work with people, for people and for a company you believe in. Learn more about Erin Procko on LinkedIn here. https://teamwomenmn.org/wp-content/uploads/2018/05/TeamWomen_BrandStandards_122117-2.png 0 0 TeamWomen https://teamwomenmn.org/wp-content/uploads/2018/05/TeamWomen_BrandStandards_122117-2.png TeamWomen2018-09-03 13:22:502018-09-03 13:22:50Meet Erin Procko, Bell Bank’s Minneapolis President and Twin Cities Banking Director! Meet Edith Young, Hennepin County IT Supervisor and Beautycounter Consultant! 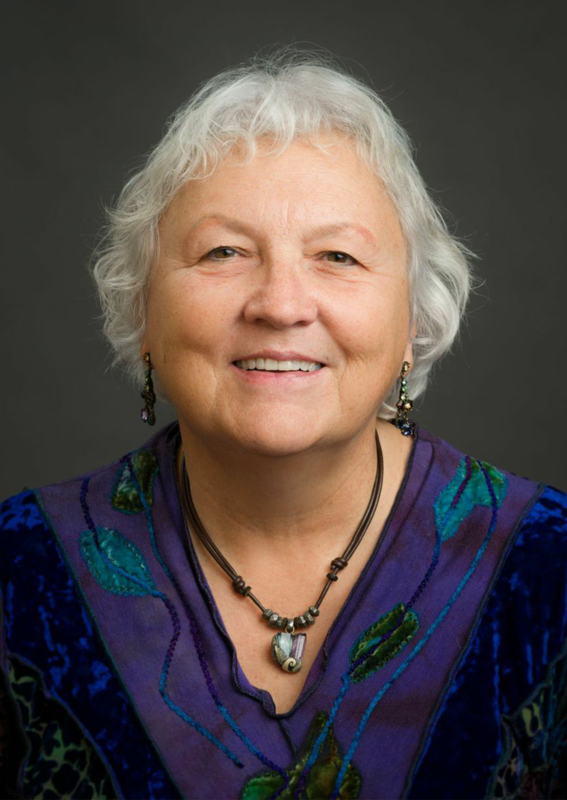 We’re excited to highlight Edith Young as our member spotlight this month! After attending this year’s Leadership Conference, she became an official TeamWomen member, as well as an Elite Happy Hour Sponsor for our 2018 WaveMaker Awards. As an IT Supervisor for Hennepin County, Edith supports 248 employees within the Public Defender’s office. She also has a passion for beauty, and in January 2017, she became a consultant for Beautycounter. Learn how she finds balance on a day-to-day basis, as well as her top three things that have attributed to her success below! What is your favorite part of being an IT Supervisor at Hennepin County? My favorite part of being an IT Supervisor is my team! I am extremely fortunate to have very talented team members from an IT perspective, but who are also focused on being ambassadors for systematic change within our legal system. We support 248 employees who are attorneys, paralegals, investigators, legal office assistants, and dispositional advisors. Working with these fellow colleagues is a great privilege. What drew you to becoming a consultant at Beautycounter? I’ve always been a sucker for bold lipsticks, beautiful eyelashes, and sparkling eyeshadow! But what drew me to the Beautycounter brand was their mission. Their mission, and my goal as a consultant, is to get safer products into everyone’s hands. I love educating others and helping them become aware of what chemicals are in their beauty and skin care products. People are often amazed that the United States has not passed a major federal law to regulate the safety of ingredients used in personal care products since 1938. That’s 80 years – 80 years too long! What advice would you have for someone who wants to start a side passion? If you love it, just do it! It doesn’t have to be a job! During my first year at Beautycounter, I just tried to talk about their mission and values, while spreading a message on social media. Now, as a consultant, I set aside a couple of nights per week, so I can still find balance. That’s a hard one because I’m kind of an open book. But if I had to name something, then I’d probably go with my love and support of the Wildcat Sanctuary in Sandstone, MN. Sharing information on how to end the captive wildcat crisis is one of my passions. I also serve as the Secretary on the Board of Directors, and I’ve been a volunteer since 2014. What are three things that have attributed to your success? Passion, resilience, and authenticity! Being a woman in IT is already challenging because it’s male-dominated. Over time, I’ve learned how to engage myself, and know when I should pull back. If your work is your real passion, and if you’re resilient in delivering the same message, then someone will hear you. What can women do to support other women around them, professionally and personally? https://teamwomenmn.org/wp-content/uploads/2018/05/TeamWomen_BrandStandards_122117-2.png 0 0 TeamWomen https://teamwomenmn.org/wp-content/uploads/2018/05/TeamWomen_BrandStandards_122117-2.png TeamWomen2018-07-15 13:50:072018-07-15 13:50:07Meet Edith Young, Hennepin County IT Supervisor and Beautycounter Consultant! 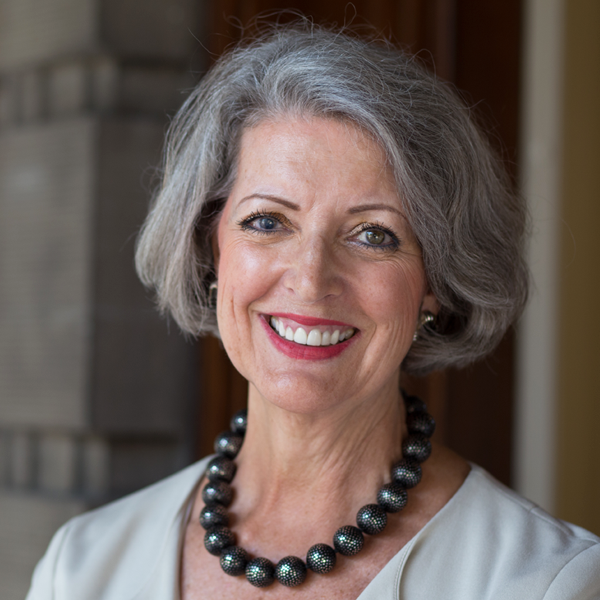 Becky Roloff, the 11th president of St. Catherine University, will speak at our upcoming luncheon on August 8. Throughout her distinguished career in the private and nonprofit sectors, she has demonstrated extraordinary leadership, a commitment to inclusion, and an ability to achieve financial stability through fundraising. 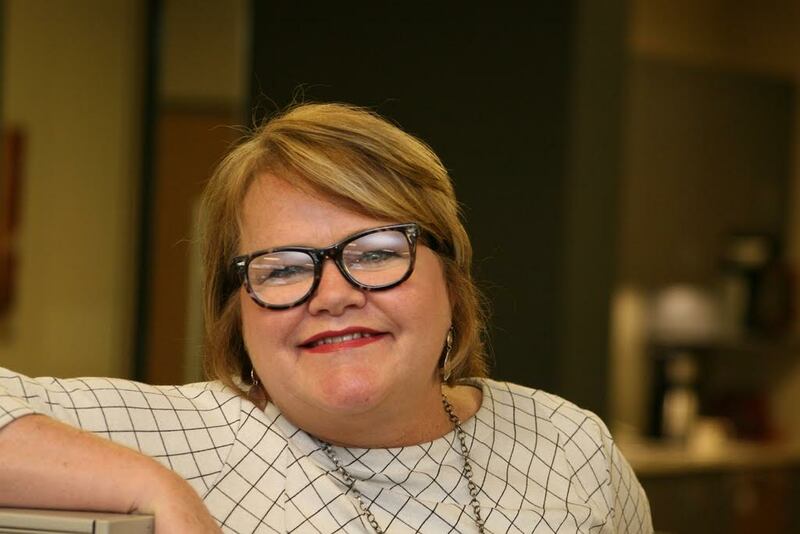 Becky came to St. Catherine University from the YWCA of Minneapolis, where she served as the president and chief executive officer for 11 years. She led the organization with a mission to eliminate racism, while empowering women and girls. Under her leadership, the YWCA of Minneapolis successfully completed a capital campaign, grew its revenue substantially, and significantly increased the diversity of its board of directors. Her leadership has been recognized with national and community accolades, including New York City’s YWCA Academy of Women Achievers Award, Archdiocese of St. Paul and Minneapolis’ Leading with Faith Award, Twin Cities Business’ Outstanding Director Award, and St. Catherine’s Outstanding Alumnae and Alexandrine Awards. Becky currently serves as a trustee for the Charles & Ellora Alliss Educational Foundation, and is a member of Women Corporate Directors. She also chaired the boards of The Blake School and the Children’s Theatre Company, and recently served as president of the International Women’s Forum of Minnesota and the Minnesota Women’s Economic Roundtable. Join us during this special event to hear the key takeaways she’s learned throughout her career — register today! Amy Beilke, an Account Executive at Carrousel Travel, helps businesses design, plan and manage group travel programs including corporate incentive travel programs, national meetings, channel loyalty travel programs and conferences. She loves talking about the world and putting together amazing travel programs that leave guests with lifetime memories! What drew you to TeamWomenMN? After I attended the Holiday party in 2016, I decided this is the place for me! I attend many networking meetings and this one stood out as being easy, welcoming and fun (it was a feeling of inclusiveness). It felt really good to meet women of all industries at all levels and learn how we can support each other. What experiences have you had within the organization? I knew I wanted to get involved so I approached leadership about being on a committee. Since I have always been involved in marketing initiatives with my career, I decided that the Marketing committee would be a good fit. I really enjoy working with that team! For some reason, for me, it is easier to network and approach women. I always feel a common “sisterhood” and love that. Maybe because I have worked around women for most of my career. I grew up in the corporate world in training and development and have always enjoyed watching people succeed. Women can support women by listening, collaborating, celebrating, planning or a million other ways. Really it comes down to – what can I do to support you? Success to me is not a destination, but a feeling. I think over time it can come and go, but in the end it is a feeling of being satisfied, fulfilled, motivated and just plain happy. Any advice you would like to provide to the TeamWomenMN members? Take advantage of all the wonderful networking events, become a member, get to know other members and you will get so much out of it. I remember my first meeting when I walked into the room and did not know one person. Even by the end of that first meeting, I walked out with a couple new friends. I’ve met so many great people over this past year, that today, when I walk into a meeting, I feel completely at home. 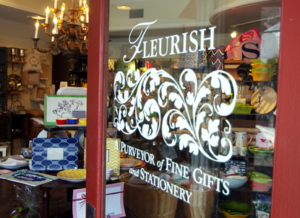 Lindi Dillon is the owner of Fleurish, providing customized gifts for personal and corporate needs for 15 years. At Fleurish, they design unique baskets that add delight — and deliciousness — to any occasion, including birthdays, showers, graduations, and so much more. 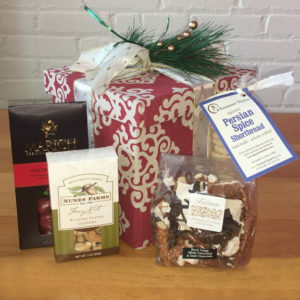 In 2013, they moved their retail location to Excelsior, Minnesota where they feature their full line of personalized stationery and giftware, invitations, and an extensive line of gifts, award-winning gourmet foods and tableware. Learn what drew Lindi to TeamWomenMN, how she feels women can help other women, and what she attributes to her success! I was drawn to TeamWomenMN because I was interested in finding a group of women that support each other in the Twin Cities. I wanted to be able to meet new people and network with them by listening to their stories about their business life and how it is woven into their personal life. I feel that balance is a constant challenge for women and I find it inspiring to hear the stories of members. Specifically, I have been involved with networking meetings, the speaker luncheons, and the all-day conference. These events have provided me with leadership examples and the friendship of other successful women. Women can support other women by being opening to listening and sharing experiences with each other. Finding commonality goes a long way and women’s perspective on business and life is something I have always valued back to my days at St. Kate’s! Success to me is your reputation, who you are and what you stand for- it’s what you have if everything else should go away. You need to be able to look in the mirror and like what you see! What are three things you attribute your success to? The three things I attribute my success to is hard work, taking risks and solving problems. Owning a business requires these elements to grow and move forward. It means building a retail brand with loyal customers, great suppliers and stellar employees. If you could change one thing in your professional career (past/present), what would you change? If I could change one part of my career it would be to have a crystal ball surrounding the current challenges of retail. There are many forces coming at a small business and knowing how to adapt to the ever-changing environment would be oh so helpful. 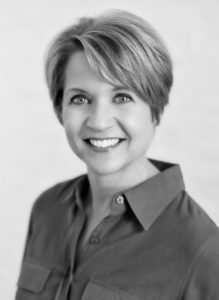 Kim Insley is a multi-media journalist with more than 30 years in the business, and multiple awards in producing, reporting and anchoring, most of which as co-anchor of KARE-11’s Sunrise program. In her work Kim has covered everything from natural disasters to presidential candidates to the pope. Kim is a mentor to both young professionals as well as high school students through her work with the Minnetonka School District Vantage program. Kim is excited to announce she has launched a new venture that will not only continue to support young people with their dreams, but also actively help organization share their stories and ideas for moving our community forward. What drew me to TeamWomenMN was the team behind it – including, of course, Pam Borton. I had the pleasure of interviewing her in recent months on KARE11. She is so dynamic and level-headed. Learning more about this organization supporting women in their careers made it a no-brainer to get involved. 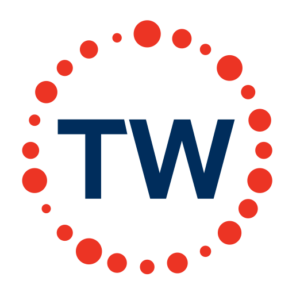 What have been your experiences with TeamWomenMN? I’m a newbie to TeamWomenMN, so my experiences are limited to just one luncheon, which I was honored to be a part of. Our guest speakers were generous with their time and their knowledge. Penny Wheeler of Allina and Shari Ballard of Best Buy are quite a team themselves. I already have my tickets to the Nov. 29th Power Luncheon with Marcia Ballinger and Lars Leafblad and I can’t wait! I’ve also had the pleasure of a bit of the behind the scenes operation, getting to know executive director Katy Burke – a powerhouse of energy, commitment and so much fun! What can women do to support each other? Mentor a younger colleague. If your company has an internship program, get involved with it. I loved working with interns – not just setting an example, but taking an interest in their career goals. Are you mid or late career? You have lots of contacts. Connect the women you know so they can expand their own network. At the office, have each other’s back, don’t talk behind backs. A successful woman is not a threat – she is at the very least someone you can learn from. At best, an ally. When you feel alone, or stalled out in your career, another woman might have the insight you need to move past that. Women can do so much more to support each other! Success, to me, is being happy and passionate about what you are doing. I’ve seen people at the very top of their profession who have no passion for their jobs, who have no joy in their lives. Who wants to live like that? Bear in mind success might change over time. What got your motor racing at age 25 might be different by the time you hit 45. Be open to change, and pay attention to your gut. If you don’t feel fulfilled in your job, find out why. Can you change it? Should you try something else altogether? Give yourself permission to be happy in what you do. That is true success. I have never let myself be defined by others. I realize many people have an opinion of me but I know myself pretty well. I have a strong work ethic. If I say I’m going to do something, I do it. Being a life long learner. I have had to change my skillset many times over my career as technology and attitudes have changed over what people want from their news. It keeps me engaged. There are many, many things that have helped me over the years. It’s hard to choose only three! I have been extremely blessed in my career so far. Although, not everything has gone perfectly. If I could change one thing it would be to have paid more attention when I was younger – I think I assumed I knew far more than I did. That cockiness can be helpful, but a little humility goes a long way. What is one piece of advice you have for our TeamWomenMN members? Advice for all of us – get out there! Don’t be afraid to meet new people. Learn something about someone in a field that is not your own. You never know where it might take you! Donna L. Block, MD, MBA, is the founder of Clinic Sofia OBGYN where women of all ages are given the tools to advocate for their own health and become part of a healthy, supportive community. A graduate of the University of Minnesota Medical School, Dr. Block has been an OBGYN physician since 1987 and is board-certified by the American College of Obstetricians and Gynecologists. She also earned her MBA in medical group management from the University of St. Thomas. Founding Clinic Sofia in 2004, Dr. Block fulfilled her dream to offer a better approach to women’s healthcare and give women the nurturing, insight and guidance they need throughout all of stages of their lives. Dr. Block is a perennial “Top Doc” honoree by Mpls. St.Paul Magazine and “Best Doctor for Women” by Minnesota Monthly, among other local honors. 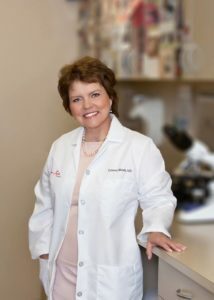 The Consumers’ Research Council of America also lists her in the “Guide to America’s Top Obstetricians and Gynecologists.” Since 2009, Dr. Block has served on the Harvard Kennedy Women’s Leadership Board, a global group of leaders who work together for the advancement of women and girls. 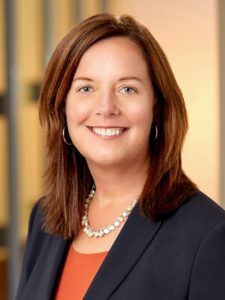 Shari Ballard is senior executive vice president and president of multichannel retail for Best Buy Co. Inc. In her role, she is responsible for all U.S. Best Buy stores, e-commerce, Best Buy Mexico and the company’s real estate strategy. Ms. Ballard is a seasoned executive with deep retail experience. After graduating with a bachelor’s degree from the University of Michigan – Flint, she was hired in 1993 to work in a local Best Buy store, beginning as an assistant store manager and rising to general manager. After a variety of retail leadership roles, she was promoted to executive vice president of human resources and legal. In 2007, Ms. Ballard assumed responsibility for Best Buy stores in the United States, focusing her energies on deepening customer relationships and better utilizing the full range of talent and resources that reside within the company’s stores to drive growth. She was promoted to president of Americas, U.S. and Mexico in 2010, and two years later, she was appointed the president of international, overseeing business and the transformation efforts in Canada, China, Europe, and Mexico. In April 2014, Ms. Ballard assumed the role of president of U.S. retail and a few months later, began a dual role to include chief human resources officer, a position allowing her to leverage her broad experience, expertise and knowledge of the company and its employees. Ms. Ballard serves on the board of directors for the University of Minnesota Foundation. How did you get involved with Team Women? I’ve known Pam Borton for a long time and she is a friend of mine. When Pam started TeamWomenMN, I got involved. I really like how it is growing and evolving into a community of mentors and support for women, not only support of developing skills, but also the need for health and wellness. I like the holistic approach to success! What do you like most about Team Women? I really like the full range of people involved. It’s great to connect and learn from all members. The members who are new in their career have such a fresh, new perspective and outlook. And, then you have someone who is more experienced in their career and has tremendous knowledge to share from their perspective. Creating that diversity is great. How can women support women? It’s important to have relationships and a support group outside of your internal infrastructure. No matter where you are in your career, it is always good to have a safe place to bounce things off your peers and get a different point of view. But it is equally important that your values and beliefs align with your support group. Industries can be very different and the level of job responsibility can be different but you should always share a common belief and value system – or you might not get the best outcome. People should work to bring out the best in each other – believing in the same core values supports this process. 1) Luck. I consider myself very lucky in that I have been in the right place, at the right time, with the right skills – to fill a need. It’s not that others wouldn’t be able to do the job; it’s just that my skills, style, approach or point of view aligned with the needs of the organization at the exact time it was needed and everything else fell into place. 2) I really enjoy people. I mean I genuinely enjoy getting to know people at any level, understanding their motivations and unique skills and then putting those in action with the job. I like when people can be themselves at work and I approach my team with that attitude so I can understand them and put together a team that creates meaningful outcomes. I believe in surrounding myself with people who compliment diversity in the truest sense. When you do, it will help you collectively see things differently. 3) Learn from your mistakes and move forward. Every day is a new day to do better. When leaders fail, find out what caused them to fail. Don’t try to be the smartest person in the world. I am a firm believer in finding your mission that you love. It doesn’t matter what it is. In the grand scheme, we should ask ourselves, “Why we are doing what we are doing?” At the very core, it’s about various groups of people coming together to create something meaningful. Try to stay clear on that point – it does not matter what your title is, how much money you make, etc. Those things do not always lead to a good outcome if they are not aligned with your mission. Stay away from things that don’t feed your soul – if you have to, take a temporary day trip, but always get back to feeding your soul. 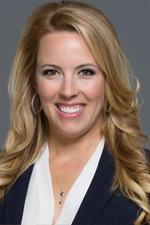 Tami Hedrick is the Director of Vikings Women and Strategic Development for the Minnesota Vikings, as well as the Head Coach and Director of the Minnesota Vikings Cheerleaders. Tami has coached professionally for over 20 years, in the NFL and for the NLL. Before Tami took the leadership position as Head Coach, she proudly cheered as a Minnesota Vikings Cheerleader for the 1997-1998 season. Tami’s career path led her to roles as Vice President of Marketing, to a Director level role in Sales, and as the founder of several startup companies/groups in the Midwest. Tami has also appeared in multiple national pageants, was a television host for ShopNBC/EVINE, and has been a judge and choreographer for International, college and high school teams. Tami is proudest of her roles as a wife and mother to four children and three step children. 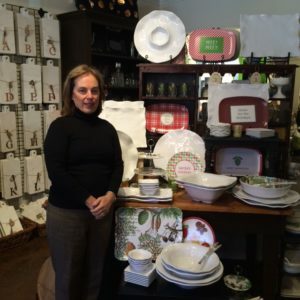 The Co-Founder, Pam Borton – anything she is involved in, I know is impactful. The women – the line up of members, speakers, attendees, etc. is diverse and inspiring on many levels. The power – the topics, talent and time given to this group is evident and I believe in the power of women working as a team. The company I work for, the Minnesota Vikings, has sponsored past TeamWomenMN events. I have personally attended luncheons, read articles created by TeamWomenMN and connected with amazing women as a member. Publicly praise and send kindness with thoughts and actions. Promote and support women by recommending women-focused businesses or causes whenever possible. Mentor others and empower them to be proud to be a woman. Be an includer by inviting other women to events, giving them the opportunity to become employed and by empowering them to feel that they are worthy. Success means different things to different people – at different times. To me, today, success is always doing things bigger and better! Always taking on new responsibilities. Hard work! Continued growth by challenging myself and others. Amazing parents. My mom and dad were strong, firm, loving parents and were always there for me. A few times in my career I didn’t push hard enough for what I wanted. I’ve learned that lesson and now appreciate the journey regardless! My advice to TeamWomenMN members is to trust that everything happens for a reason and always do good. Be excellent every chance you get, and engage with other successful, strong and smart women as much as you can – they will rub off on you!